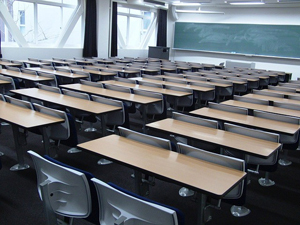 Supreme Cleaning (Kent) Ltd are experienced in school cleaning and currently carry out daily contract cleaning within several schools, both state and private. We all want our children to learn in a healthy and safe environment and the cleanliness and the hygiene within our schools and colleges is paramount. Sickness, cold and flu spread like wildfire amongst children and we use products and techniques to ensure that the spread of germs is minimised. Daily thorough clean of W.C areas, basins and hard floors is essential to contributing towards improving the hygiene standards within the school and our daily spec will ensure standards are maintained by our school cleaning team. Your teachers will also enjoy working within a clean and hygienic environment whether it is when they are teaching or sitting in the staff areas during their break. As well as the aesthetic and health benefits to having a professional daily school cleaning company we preventing staff absence by sanitising phones, door handles and computer keyboards within office and communal areas of the school. A member of our supervising team will regularly visit to ensure that our customers and school cleaning staff are happy and ensure standards are met. To assist with achieving this we produce a daily/weekly/monthly specification in conjunction with our customer which our operatives use. This spec can also be used by our supervisors when they visit and by the customer. Every 4 to 6 months we like to have a review meeting with our customers to review the spec and see if there is anything else that can be included. However there is always somebody available to deal with any queries or bespoke requests are customers have. During the holidays we can offer a discounted ‘Spring Clean’ service, deep cleaning cloakrooms, shower rooms, carpets and curtains as well as stripping back your hall floor, cleaning and re-polishing. “Supreme Cleaning Services have carried out the daily cleaning at Merton Court School since December 2010 and we have always been happy with the level of service and standards of cleanliness during this time. We also use them to carry out deep cleans during the school holidays and we are always delighted with the results achieved. The level of supervision is good with Steve visiting the school once a week to check all is ok.
For more information on our school cleaning services contact us today by filling in the form below.